When I was a computer science student I spent a lot of time playing around with Linux. My home network was routed by a Pentium 2 workstation running Slackware and configured with IP forwarding and IP tables. In 2003, I attended a CCNA boot camp; the other students and I practiced routing protocols (RIP and OSPF) by building an overlay point-to-point network between our houses. We used OpenVPN for the tunneling and then RIP and OSPF inside the tunnels. For the routing process, we first used Zebra and then Quagga (which at the time supported OSPF). It’s great to see that now, almost 13 years later, open networking companies have adopted those same projects to finally deliver enterprise-grade routing and switching. So what does all this have to do with network engineering? Well, I think that having a basic knowledge of Linux is no longer just for students and computer geeks. Network engineers will often run into Linux-based network operating systems and command lines. Having a basic knowledge of Linux is a neccesity. Nmap is the network security scanner of choice. It can give you useful information about what’s running on network hosts. It’s also so famous that it has been featured in many movies. With Nmap you can, for example, scan and identify open and filtered TCP/IP ports, check what operating system is running on a remote host, and do a ping sweeps on an IP subnet or range. 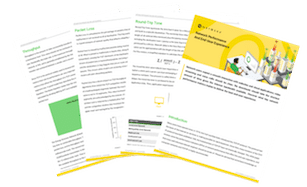 Knowing which TCP/IP ports of a host are listening for incoming connections is crucial, especially when you’re hardening a server or locking down network equipment. Nmap allows you to quickly verify that: just run the Nmap command followed by the hostname or fully qualified domain name. In this example, you have host 10.1.10.1 with MAC address C4:04:12:BE:5A:1C and with open ports 80 and 443. Ping sweeps are great to create an inventory list of hosts in a network. Use it with caution and don’t simply scan the entire 10.0.0.0/8 subnet. Rather, go subnet per subnet (e.g. 10.1.1.0/24). I used this option many times when I was replacing the routers at large sites. I would create an IP inventory list before and after my configuration change to make sure that all the hosts would see the new gateways and could reach the outside world. Host 10.1.10.1 is up (0.011s latency). Host 10.1.10.10 is up (0.00049s latency). Host 10.1.10.11 is up (0.000091s latency). Host 10.1.10.12 is up (0.00052s latency). 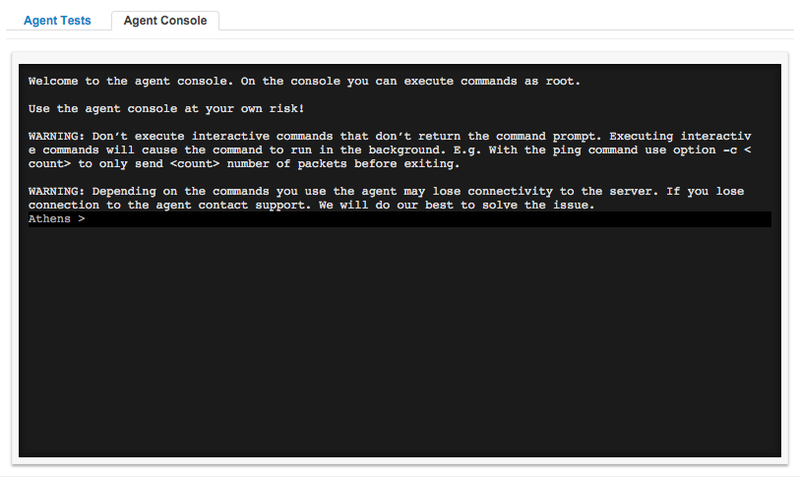 Do you want real-time ping sweep of a subnet? The following bash script will continuously execute a ping sweep to subnet 192.168.1.0/24 every 5 seconds. To exit the command, just hit CTRL-C.
Tpcdump is a great utility to troubleshoot network and application issues. For example, at remote sites that are connected with IPSec tunnels back to the main site, many times I was able to figure out why some traffic would make it through the tunnel and some wouldn’t. The cause was that some traffic that used the entire IP payload without accounting for the IPSec header had the DF bit set. As results, the router would return an ICMP packet with code “Can’t Fragment Error”, something that I found out with tcpdump. Use this tool to assess the bandwidth available between two computers. You can pick between TCP or UDP traffic and set the destination port, bandwidth rate (if UDP is selected), DSCP marking, and TCP window size. With iperf you can also generate multicast traffic and test your PIM infrastructure. I’ve used iperf many times to troubleshoot network slowness issues, verify whether the ISP would honor the DSCP marking, and measure the jitter value of UDP traffic. We have already written a great post on iperf, so I encourage you to read that if you want to learn more. Netcat (nc) is the network engineer’s Swiss Army knife. If you want to be the MacGyver of your network, you must know the basics of netcat. If you use it in client mode, it’s similar to telnet, and you can create a TCP connection to a specific port and send anything that you type. You can also use it to open a TCP/IP port and read from standard input. That makes it an easy way to transfer files between two computers. Another use case is testing whether your firewall is blocking certain traffic. For example, execute netcat in server mode on a host behind your firewall and then execute netcat in client mode from outside the firewall. If you can read on the server whatever you type on the client, then the firewall is not filtering the connection. Please be aware that the command line is non-interactive. 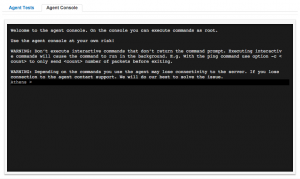 What that means is that if you execute a command, you will receive immediately the prompt back and also the output of the command you typed. If a command expects more user inputs (say a text editor like vim or nano) or a dialog command, you won’t see it and won’t be able to interact with it. For this reason, it’s very important that any command typed on the console terminates after a certain period without expecting further user inputs, otherwise it would run in background. For example, if you are running a ping test, you will have to use the count option (-c), otherwise it will run continuously in background. I hope this blog post was helpful for learning some useful Linux tricks that will make your life easier. Please feel free to share with us which other Linux command line utilities are in your toolbox.